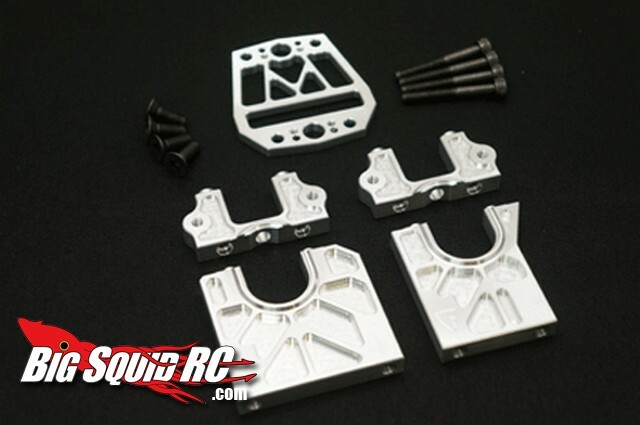 Fastlane Machine Losi 5IVE-T Easy Diff Mount Kit « Big Squid RC – RC Car and Truck News, Reviews, Videos, and More! Think it’s a pain pulling out your Losi 5IVE-T diff to inspect or service? This new easy diff mount from Fastlane Machine makes it a lot easier. Instead of having to do a major dismantle the FLM kit allows easy access to the diff from the top of the truck. The diff mount is made out of high quality CNC machined aluminum, it has a street price of $92, and they are available right now. Hit THIS link for complete information. Looking for other Losi 5IVE-T news here on BigSquidRC? Click right HERE.